Are You a Self-Taught Knitter On The Hunt For Top-Quality Knitting Instruction? Are you a visual learner who can figure anything out as long as you can see it for yourself? Do you find yourself looking online for knitting videos at 1 or 2 o’clock in the morning? 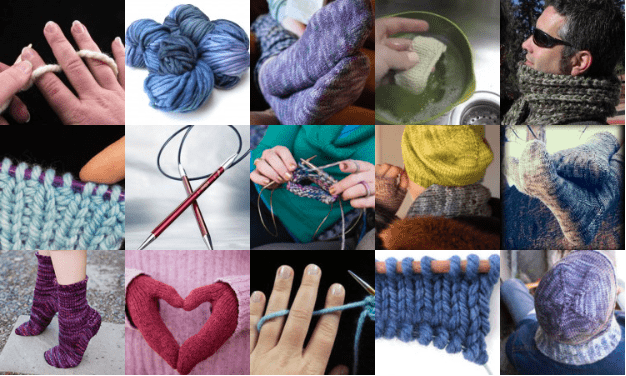 Are you looking to refresh your skills after a long break from knitting? Do you love to learn new skills by focusing in-depth? Lovely Knitter, welcome. You’ve come to the right place. Welcome to Your Ultimate Knitting School! Good News! No More Putting Up With Less Than The Best. Payable by Visa, Mastercard, American Express and Discover through our secure site AND through PayPal. Are the Old KnitFreedom Classes Still Available? Yes! You can purchase all KnitFreedom classes individually at our shop. Is it ever! As always, we guarantee that you will love what you learn. Take 60 days to enjoy KnitFreedom Premium and all it has to offer. If you don’t love your experience, we’ll return your money, no questions asked. Thank you for giving us a chance to prove our worth! KnitFreedom’s Premium Access Library is a good fit for self-starters who are looking for quality knitting instruction online. If you are ready to finally learn from a knitting resource you can count on, click here to add KnitFreedom Premium Membership to your cart. Our Customer Happiness sets us apart! Candy, our dedicated Customer Happiness Guru, is here to help you with anything you may need. You may accidentally end up making friends with her over your email! Can I See a Sneak Peak? Ready to access the best knitting videos the world has to offer? Click below to add KnitFreedom Premium to your cart. Great Choice! How Would You Like to Pay? Your videos are the best on the Internet. You make everything seem so easy and doable, and you do it in a friendly and real voice. In face, you have the same voice as a friend of mine, which makes it even better! I’m halfway through my first pair of socks using the Magic Loop. Your videos were a fantastic help. It’s so much fun. I love your website..... for years I only knitted washcloths. I am into socks now. and very addicted. I don't think I could have done them with out your website. great job!!!!! An especially huge thanks for getting back to me on Christmas day. Many a business could take lessons from you in customer care. I’ve been FROGGING for years. After hundreds of books, many disappointed people whom I can never deliver the knitting projects I promise, I FINALLY discovered all the things I do wrong with my tensioning. Bless you dear! Your videos are excellent. I have just downloaded your video dictionary, and the idea of a pdf linked to youtube videos is brilliant. Beautifully-designed site as well. Really great stuff–I finally learned how to knit backwards in a way that made sense. Thanks! When I start looking for a new type of pattern (socks vs mittens, etc) I ALWAYS go to KnitFreedom.com first! Your patterns are clear, concise, and they allow me to go crazy re: colors and designs, yet I've got a solid base design to go back to. As someone who can't not play with a pattern, I love having KnitFreedom.com at my back. Do I share this? Only with every knitter I know! And every wanna-be knitter I know! Thank you for your knowledge and kindness. As a beginner in knitting I truly appreciate your Cast-Ons ebook. It's a great help and makes that part of knitting much easier to understand. This is the best Toe-Up Socks instruction video! Not only does it present clear instruction, it also answers so many of those little? questions such as how to keep the darned yarn from tangling, how to keep the loop from twisting and/or disappearing, how to position the stitches on the needles, etc. Absolutely fabulous and I am SO happy I bought the book. Thank you! Love the new KNITFreedom Video Guide to Cast-Ons, I have used several new ones in my knitting already! Great resource! I love seeing mail from you and I save each one. Hi Liat, just wanted to thank you for all the wonderful videos you make available to us. I have learned so much from you, I always look forward to seeing your emails in my inbox! I was having such a hard time learning to double knit, but after watching your video, it was a piece of cake! Again thank you and God bless you! Wonderful tips - I always look forward to your e-mails! I'm just learning lace and didn't know but one bind-off type so this is new and great information. I'm a lefty. I tried for years to be good at knitting, but it was always a struggle. Then I found KnitFreedom and the video showing Continental style knitting was "spot on"! I am knitting and having a lot of fun now! Thanks Liat you are the best. BTW for anyone not sure: Liat's videos are done so well, there is no way you can't "get" what she's teaching. Absolutely the best!